Rare bottles will be up for sale. They’re serving nothing but the finest. At least 12 of the best winemakers from across the globe are coming to the Philippines to showcase their wines, including the award-winning Tamburlaine Organic Wines from Australia, and Chteau Léoville Las Cases, one of Bloomberg’s Top Wines of 2016, from France. Learn more about the winemaking process, and get tips from the experts on the best pairings for your selections. Exclusive wines of the Bordeaux Grand Cru Classe that are not found in stores or anywhere else in the Philippines will be available at the fair. 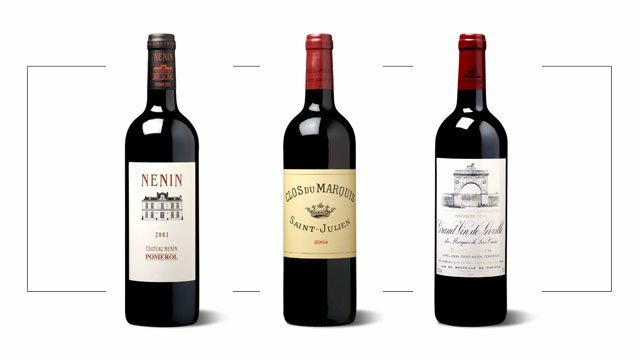 These include the 2010 Chateau Léoville-Las Cases Saint Julien 2 Cru Classé, the 2003 Chateau Nénin Pomerol, the 2004 Clos du Marquis Saint Julien, and the 2008 Clos du Marquis Saint Julien—all in very limited quantities. There’s also the 1994 Chateau Léoville-Las Cases Saint Julien 2 Cru Classé, of which there are only 150 bottles left at the Chteau, and Marketplace by Rustan’s is bringing in 24 of these extremely limited-edition wines at the fair. 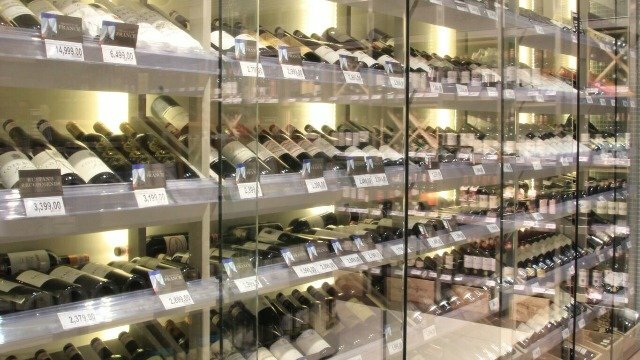 Find quality wines at the best value. The festival’s the perfect time to start shopping for your next dinner party because you get 10% off every bottle of wine you buy at the event, and 15% off for purchases of six bottles or more. 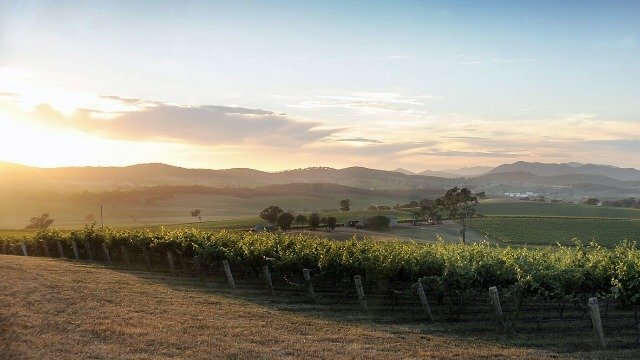 You just might win a trip to an actual vineyard in France or Australia. 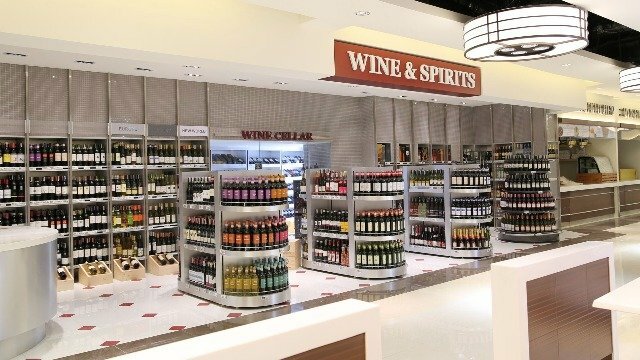 Your wine haul might be the key to your next vacation. For every single-receipt purchase worth P5,000, you get a chance to win round-trip tickets for two. 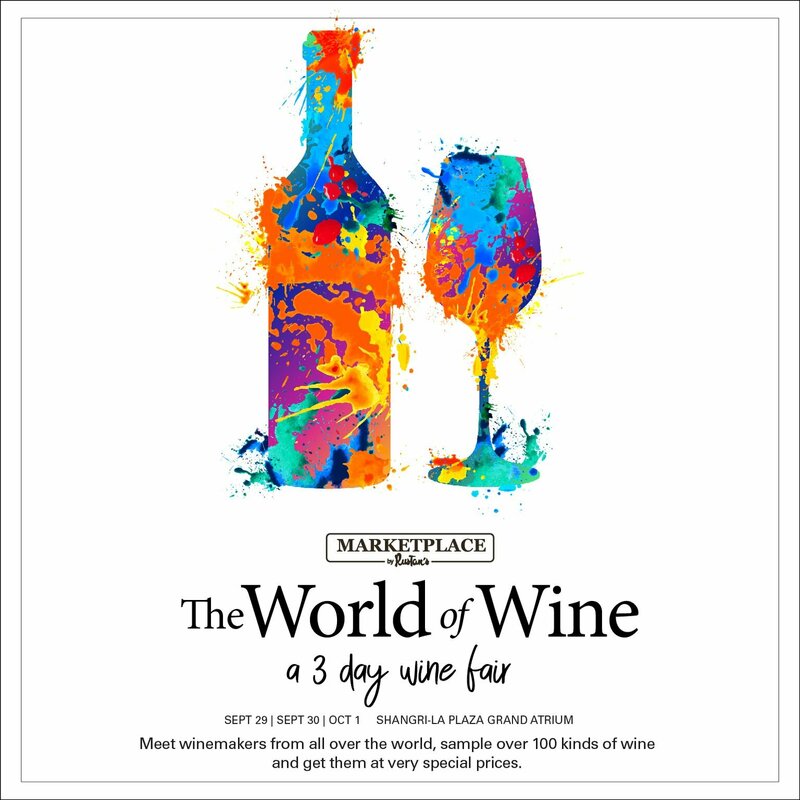 Throughout the three-day fair, sample premium wines from the visiting winemakers to discover a new favorite bottle (or two, or more) to take home! 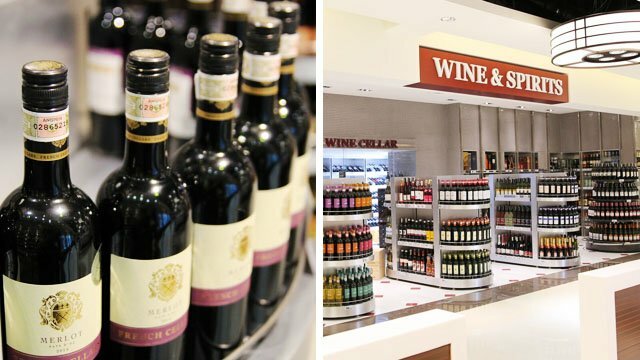 Get ready to take a sip of Marketplace by Rustan’s The World of Wine at the Shangri-La Grand Atrium. For more info, visit www.rustansfresh.com, and follow the official Facebook, Instagram, and Twitter accounts of Rustan’s Fresh. Marketplace by Rustan’s has branches at San Antonio Plaza, Rockwell Power Plant Mall, Central Square Bonifacio High Street, Connecticut San Juan, Eastwood City, and Shangri-La Plaza. Rustan’s Supermarket has branches at Glorietta, Greenbelt 1, Paseo de Magallanes, Alphaland Makati Place, Paseo Center, Century City Mall, Gateway Mall, Katipunan, Tomas Morato, P. Guevarra, Corinthian Hills, Village Center Antipolo, The Grove by Rockwell, Ayala Mall The 30th, Ayala Alabang Village, Evia Lifestyle Center, Uptown Mall BGC, Oakridge Business Park, Ayala Center, Arcenas Estate, and Ayala Centrio Mall. This article was created by Summit Storylabs in partnership with Marketplace by Rustan's.